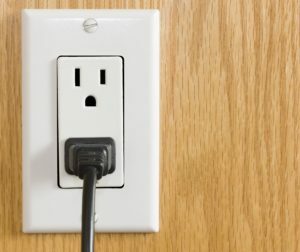 Are you constantly looking for outlets in your home? With today’s technology, we need more outlets for our electronics than modern homes acquire. Whether you are adding an outlet in your basement or garage for a new refrigerator, or out side for Christmas lighting, we can help! Adding outdoor electrical outlets on timers or alongside pole lights for christmas lights will make for easy holiday decorating, no more dealing with extension cords reaching to your home. Adding 20 AMP outlets in your garage or workshop will save you from overloading your existing wiring and prevent you from blowing a fuse. Let our highly skilled, certified electricians install electrical outlets in your home today!